April showers aside, this month sees the first of the good weather across the UK and much of Europe, so it’s a great time to book a short-haul holiday if you’re travelling solo. 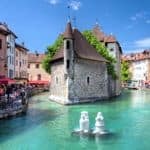 But you’ve also got a huge choice if you look further afield, from the last of the season’s snow in the Alps to more exotic trips in South East Asia, India and north Africa before summer temperatures soar. It’s still peak season in some of the world’s top beach destinations too, if you’d like your sunshine to be guaranteed. Keep an eye on Easter too: it falls late in 2019, on 21 April. Here are some of the best singles holidays in April. There’s so much to discover on our small island, so if you’ve a passion for literature, architecture or history, try a themed tour around some of the UK’s most memorable sights. With no single supplements on selected tours, Martin Randall Travel is unsurprisingly popular with solo travellers, and this month their expert guide can take you behind the scenes exploring the City of London’s architecture. Or pick a weekend getaway that’s aimed specifically at singles. Solitair Holidays has an Easter break packed with fun activities including a 1970s tribute band. It’s aimed at singles over 50. You could even treat yourself to a cruise, without leaving British waters. St Hilda Sea Adventures explores the beautiful scenery of Scotland’s islands, with options for single cruisers. And single parents can enjoy a short break on one of the Easter UK holidays from Single with Kids, as well as their beach getaways, such as a family break in Tenerife. April has some of the best variety for short-haul trips, whether you want snow, sun or gorgeous countryside with great food. The ski season is almost over, but booking this month can also mean lower prices and quieter slopes, especially outside the Easter holidays. 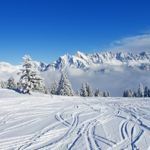 For major resorts like Val d’Isere and Alpe d’Huez, I’d suggest Friendship Travel which has week-long ski breaks for those travelling solo, as well as room share options if you’d like to keep costs down even further. Inghams also has ski holidays for solos with no single supplement at a choice of top resorts including Lech in Austria, Meribel in France, Saas Fee in Switzerland and Cervinia in Italy. 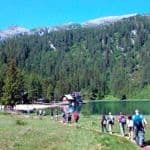 Single Parents on Holiday has some great luxury options too if you’re looking for single parent family holidays, including family-friendly skiing in Austria to catch the last of the season’s snow. With longer days and less punishing temperatures than winter, it’s also a good month for a Reykjavik city break, discovering some of the best of the Icelandic capital, or explore more of the country on the Land of the Northern Lights tour, bathing in geothermal pools and discovering volcanic landscapes between searching for the elusive Aurora Borealis. It’s a great time of year to visit Russia as well – this seven-day Majestic Russia tour is run exclusively for solo travellers and visits the key sights of Moscow and St Petersburg. 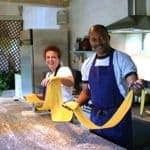 Or venture further south with a cultural tour from Kirker Holidays including art and music-themed breaks across Italy. If it’s archaeology which captures your interest, Peter Sommer Travels has an expert-guided tour exploring Sicily too, which is popular with solo travellers. And the Mistral Hotel on Crete is exclusively for solo guests, with some of the island’s ancient sites to explore as well as the chance to soak up the sun. Nature lovers can watch the flowers bloom in the Netherlands on a luxury hotel barge holiday with European Waterways including occasional departures with no single supplement, a floating house party atmosphere and all-inclusive gourmet food, wine and excursions. Spend just a few more hours on a plane and you can be transported to a very different world, among the legendary tombs and temples of Egypt. 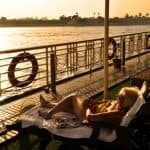 The six-day Pharaohs Adventure tour takes in the famous highlights, including the Pyramids and Sphinx, while the nine-day King Tutankhamen itinerary features a Nile cruise – take your pick from traditional felucca or five-star cruise, as you sail through the heart of the country to discover Karnak and Luxor. There’s no compulsory single supplement on tours of Egypt with On The Go Tours while five itineraries allow solo travellers to have a single room at no extra cost on selected dates. 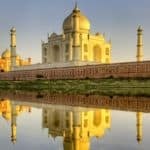 If your heart is set on seeing India with its riot of colours and ancient culture, April is your last chance before the main heat of summer and the monsoon season, so book for the beginning of the month to discover this eternally fascinating country. Exotic India, exclusively for solo travellers, visits the Golden Triangle as well as the chance to spot tigers in Ranthambore National Park. It’s also a perfect time to visit the mystical mountains and temples of Nepal. April brings long days of sunshine, good visibility and the magnificent sight of rhododendrons in bloom. 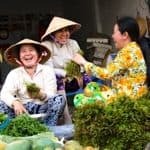 Join a nine-day escorted tour, Nepal Experience, which includes the Kathmandu Valley, the medieval temples of Bhaktapur, the pretty lakeside town of Pokhara and the Chitwan National Park. See the treasures of Jordan on a low-priced Passage to Petra tour. 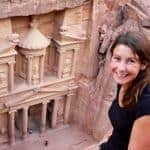 Or treat yourself to some luxury with Cox & Kings which runs tours to Jordan exclusively for solo travellers such as Treasures of Jordan, which visits Petra, Wadi Rum, the Dead Sea and the Red Sea. In Asia, it’s cherry blossom season in Japan, where InsideJapan Tours has no single supplement on selected trips. Popular group tours include the 13-night Japan Unmasked which includes cities, mountain villages, gardens, temples, castles and hot springs. There’s never a bad time to explore China but travelling alone is this vast, baffling country can be a challenge. Better to join a small-group tour where you’ll find many solo travellers. You can tick off a lot of the big sights on this 9-day Great Wall & Warriors trip. This month marks the end of peak season in the Caribbean too, with prices dropping but temperatures staying up, especially in the northern islands. Check out the holidays for solo travellers in Cuba from solos Holidays, with trips exclusively for solo travellers, while over-50s can discover the island’s less developed north coast with stays at Hotel Breezes Jibacoa from Saga Holidays. It’s the last month of the dry season in the Dominican Republic, so make the most of the Caribbean sunshine with low single supplements at adults-only all-inclusive Breathless Punta Cana Resort & Spa if you book with Tropical Sky. Or chill out in St Lucia where all-inclusive really does mean just that at The BodyHoliday, with spa treatments as well as food, drink and activities all included in the price. Too tricky to decide? Get a taste of a few different islands on a Caribbean cruise aboard Norwegian Epic, with its studio staterooms and singles-only areas. 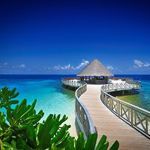 In the Maldives, enjoy the warmest sea temperatures of the year with fantastic diving and snorkelling at Bandos Island Resort. 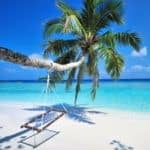 And it’s one of the best months to lounge on Sri Lanka’s beaches as well, with good weather in the south of the country. 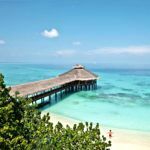 Pick one of the beach hotels with no single supplement in Sri Lanka whether you fancy snorkelling or an Ayurvedic spa. If you’d like to explore more of the country, check out the Colombo Caves & Kandy tour. If the Silk Road is on your bucket list, April is a great month to discover Uzbekistan – the group tours with Solo Travellers mean you needn’t head out off the beaten track entirely alone either. April is the perfect month to get outside, with pleasantly warm or sunny temperatures as you soak up the scenery. 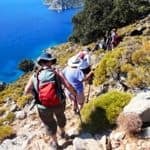 Singles will love Solos Holidays, exclusively for those travelling alone, and a choice of breaks across the UK, Malta and the Canary Islands for different levels of difficulty. These tours in Turkey include lots of walking, and you can expect warm sunshine in April. This 10-day Turkey Unplugged tour includes Istanbul, Gallipoli, Troy and Ephesus, the Aegean coast and Cappadoccia. You can also wander the North Downs this month, through scenic valleys and villages and hear tales of those going to Canterbury as you follow in their footsteps. Or explore the Jurassic coast of Devon on a UK walking holiday. In the Lake District, a stay at Hassness Country House has a minimal single supplement. 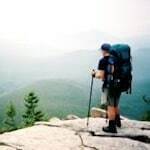 In Spain, Cortijo Romero has a more active holiday exploring the unspoiled mountain villages of Andalucia this month as well as an Easter walking holiday, along with its regular personal development courses. See more ideas in Spain. Explore has a great selection of wildlife group tours (about 60% of clients travel alone). Highlights in April include Costa Rica where you can encounter volcanoes, sloths, monkeys, tree frogs and spectacular birdlife. Or how about this 4X4 safari in South Africa and Swaziland. It includes Kruger National Park along with the Hluhluwe-Umfolozi National Park, home to Africa’s largest rhino population. Madagascar is a wonderful destination at this time of year, with small group tours that are ideal for solo travellers. Time your trip for April to enjoy the Nosy Be jazz festival, on one of Madagascar’s smaller islands, along with time in the Andasibe National Park spotting lemurs, on the 11-day Magical Madagascar tour. 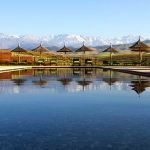 You could join a small group of single travellers and one of the UK’s leading yoga teachers on a yoga holiday with a choice of gorgeous destinations including Morocco and Spain’s Costa del Sol. If you want to give your mind and body a five-star MOT, try a detox retreat which is almost exclusively attended by people travelling alone. Or if you’re looking to shed a few pounds before the summer, consider a weight loss holiday. If you’d rather sightsee as you shape up, how about a cycling holiday? The cycling breaks from Saddle Skedaddle include several UK departures to make the most of the improved weather, not least a chance to freewheel around the Lake District. Or hop into another type of saddle as part of a ranch holiday. Arizona is bathed in sunshine in April, and White Stallion Ranch guest ranch in the Tucson Mountains is popular with solo travellers. There are family-friendly options for single parentswith horse-mad kids too. And golf is another fun and sociable way to enjoy the countryside. 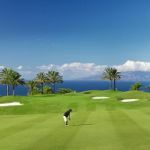 Solos Holidays runs golf holidays exclusively for single travellers in the UK and destinations in Europe including Mallorca and Portugal. If you don’t have a handicap you can join a laid-back week in Corfu too.